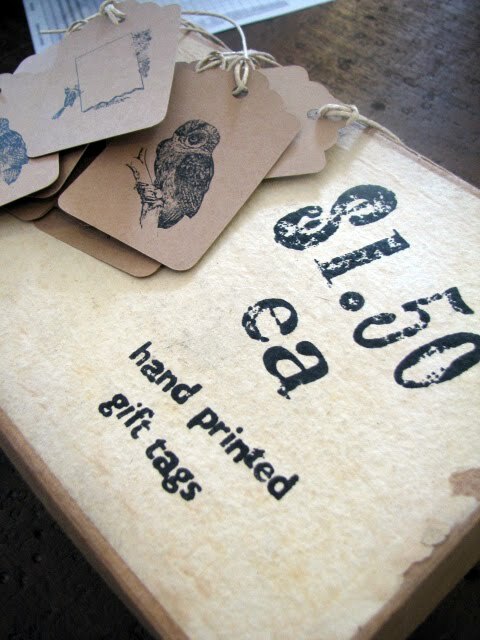 The Drill Hall Emporium: new in store...hand printed gift tags using antique printer's stamps! new in store...hand printed gift tags using antique printer's stamps! 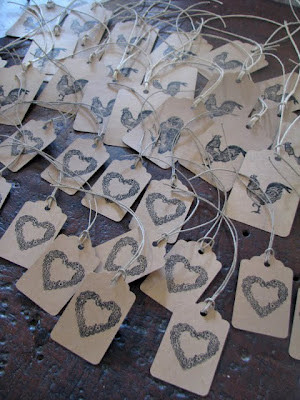 We have been very busy at the store making these hand printed gift tags using antique printer's stamps. We believe they will make a unique addition to a gift and are an alternative to madly hunting for the right card for the right person. I am sure you all know what I mean...last minute searching in the nearest newsagents amongst cards that just don't seem right? 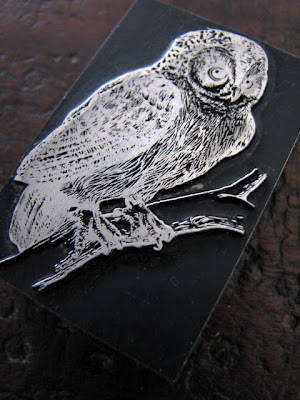 The owl has already proved very popular, look at the detail of the press! For those that are interested, this is how it works. 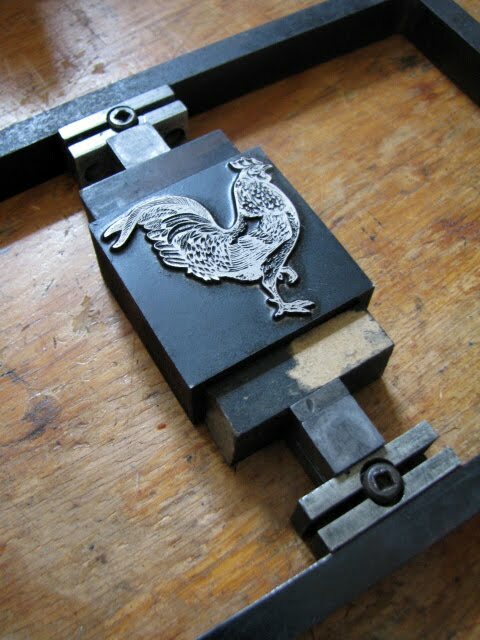 Firstly the stamp is placed in a frame called a chase and locked into postition using conerstones. We then use our vintage English made Adana press machine to impress on the tags. We add ink, of course! 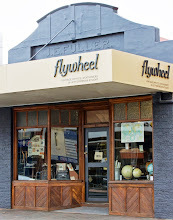 And voila...the image on the tag. Well, to be honest, it is not that simple. There is a lot of trial and error involved with "working" the ink, the amount of ink to use, the amount of pressure to apply etc. But it is all fun. Too much ink would mean the lovely detail of the feathers would not come out so clearly. We use Hungarian hemp string for ties. The tags on our counter after the ties are put on. I think the heart design is adorable...for the romantic in us all. These would be great on wedding gifts. 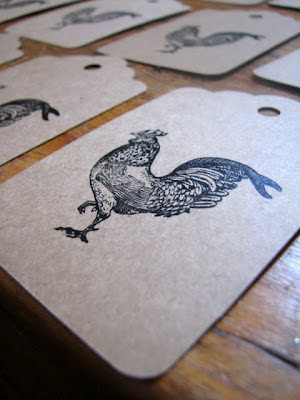 These gift tags are $1 each for small and $1.50 for large. I am pretty sure they will not make us wealthy...actually, I am definitely sure! But we have all had enormous fun making them. And that is what life is about, isn't it? Finding things that give us pleasure... 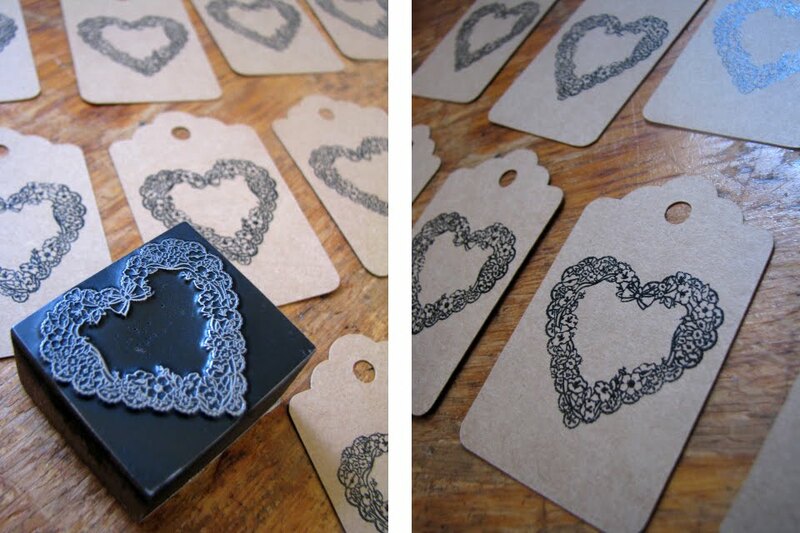 Here are some other designs that will soon be made into tags, watch this space! A gift make most powerful relation between people so keep happy to your best friends or others. 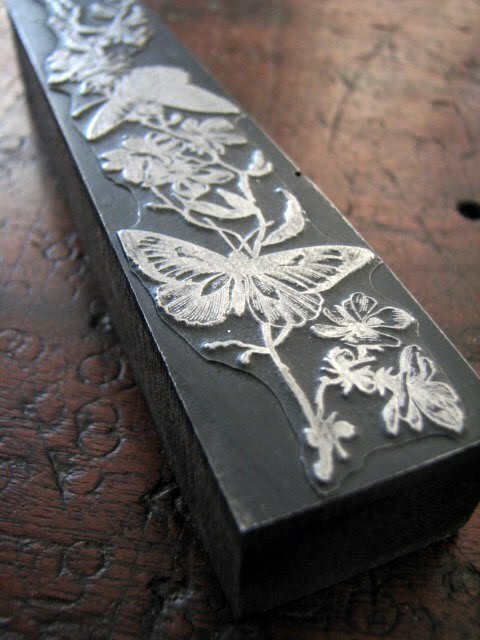 I had forgotten all about them but somewhere....I wonder where..I have a box of beautiful printers blocks! Of to search the garage and hope I can find them! Because these are beautiful. Brilliant idea! 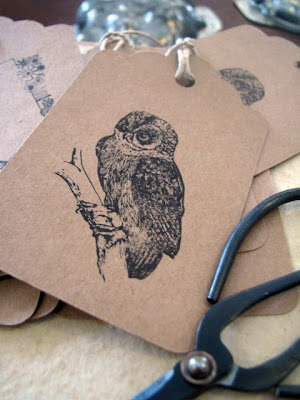 I have to go and buy some stampsand try to make something nice for the Easter. 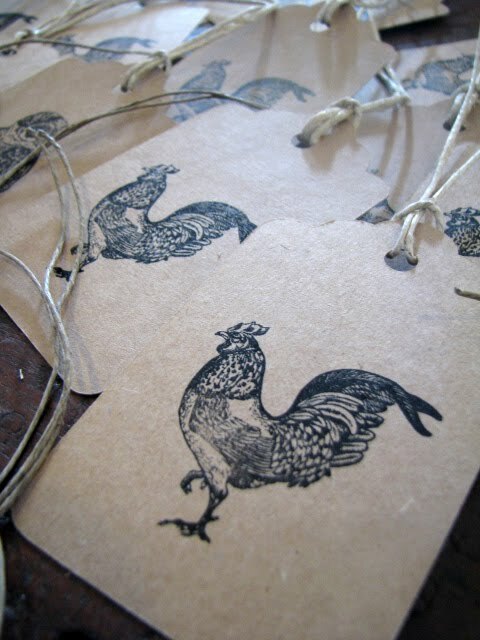 Tammy these are just gorgeous - I love how detailed the lovely stamps are.